The Western Sydney Awards for Business Excellence (WSABE) provides an opportunity for businesses to achieve recognition for their excellence. This year, the WSABE Awards include an expanded area, including the North and South Western Sydney area, providing exposure and reach across the entire Greater Western Sydney region. 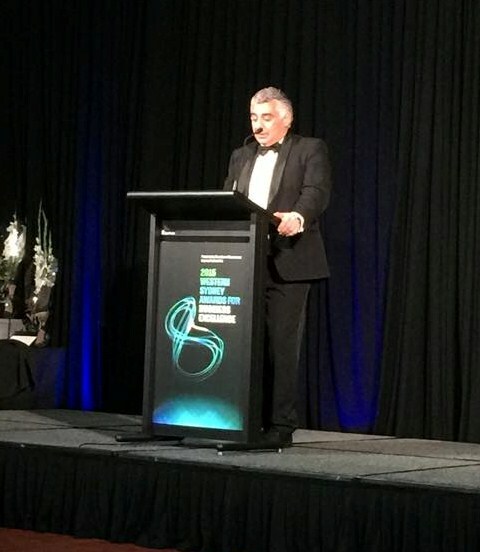 The main objective of the Award hosts, Parramatta Chamber of Commerce, is to continually evolve the Awards Program to build on the regional growth of the third largest economic powerhouse in Australia. Celebrating its 25th year, the annual Awards will showcase excelling small, medium and large businesses that strive to benchmark themselves with similar businesses in Sydney’s West. Entrants are recognised for their excellence in innovation, marketing, sustainability, business ethics, customer service and education among others. All businesses across Western Sydney are eligible to enter and the 11 category winners of the aligned NSW Business Chamber categories qualify as State finalists in the NSW Business Chamber awards, subject to meeting the awards terms and conditions. 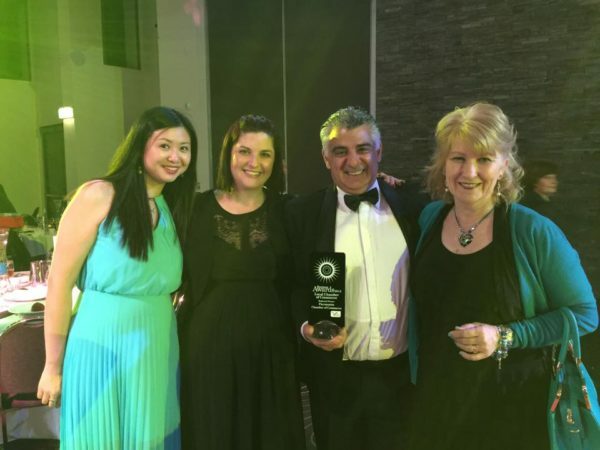 THE PARRAMATTA CHAMBER OF COMMERCE WON THE CHAMBER OF THE YEAR! Tonight we celebrate 25 years of the WSABE Awards. What was started by the Parramatta Chamber of Commerce 25 years ago as the Parramatta local business awards has now grown to cover all of Western Sydney. The fact that this event has grown extensively recognises the significance of these awards and prestige associated with winning these awards. Why are the WSABE awards important? Small to Medium Enterprises are the lifeblood of employment and growth. By encouraging and recognising business excellence it enables them to grow which allows them to employ people which in turn creates a better more prosperous society for everybody. Parramatta is the second CBD and the gateway to Western Sydney it is now recognised as an economic powerhouse for Australia. Our WSABE finalists are part of the reason for Western Sydney’s success. They are driving innovation and creating a buzz with excitement and positive change. Over the last 25 years we have had the support of many sponsors and tonight is no different. Please refer to your program to see who are the sponsors for tonight’s celebration and take the time to consider using them when you require a business or service in the future. Over the 25 years many Board Members and Judges and others have volunteered their precious time to ensure these awards are a success. We thank you. Congratulations to this year’s finalists and winners and wishing you continued business success in the future. I am sure you will join me in thanking Roger Byrne and his team who have ensured the WSABEs are a success.